Broccoli has its roots in Italy. In ancient Roman times, it was developed from wild cabbage, a plant that more resembles collards than broccoli. It spread through out the Near East where it was appreciated for its edible flower heads and was subsequently brought back to Italy where it was further cultivated. Broccoli was introduced to the United States in colonial times, popularized by Italian immigrants who brought this prized vegetable with them to the New World. Broccoli is a hardy vegetable of the cabbage family that is high in vitamins A and D. It develops best during the cool seasons of the year. 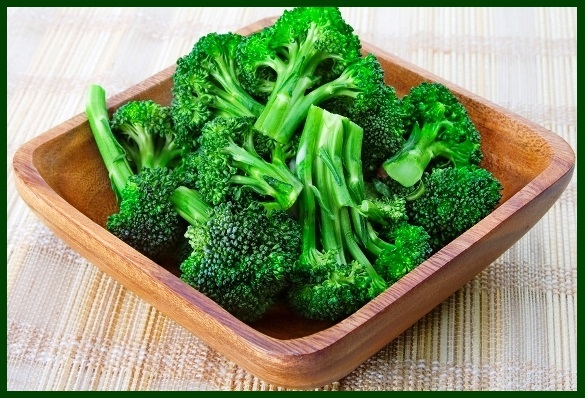 Broccoli nutrients provide many health benefits. 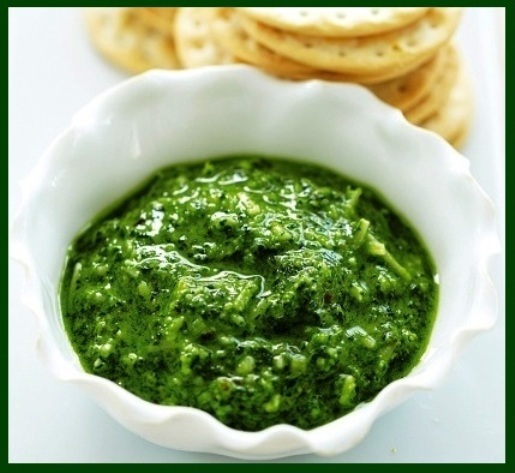 It is a great source of vitamins A, K and C, in addition to fiber, folate, lutein and potassium. Vitamin A – helps vision and is required for the immune system and production of red blood cells. Vitamin C – builds collagen, which forms body tissue and bone, and helps cuts and wounds heal. Vitamin C is a powerful antioxidant and protects the body from damaging free radicals. Fiber – diets high in fiber promote digestive health. A high fiber intake can also help lower cholesterol. Folate – is necessary for the production and maintenance of new cells in the body. Lutein – may slow progression of age-related macular degeneration and cataracts. Potassium – a mineral and electrolyte that is essential for the function of nerves and heart contraction. Alkalizes Your Body – Like many vegetables, broccoli helps keep your whole body less acidic, which has a host of health benefits. Blood Pressure – Along with a high amount of potassium, Broccoli also contains magnesium and calcium that help regulate blood pressure. Bone Health – Broccoli contains high levels of both calcium and vitamin K, both of which are important for bone health and prevention of osteoporosis. 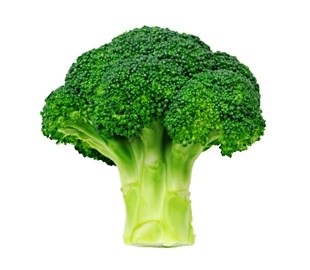 Immune System – One cup of broccoli bolsters the immune system with a large dose of beta-carotene. Trace minerals, such as zinc and selenium, further act to strengthen immune defense actions. Nervous System – Broccoli contains a high amount of potassium, which helps maintain a healthy nervous system and optimal brain function, as well as promotes regular muscle growth. 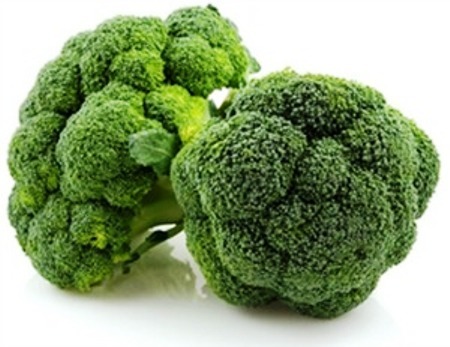 Prevents Cancer – Broccoli is rich in glucoraphanin which can be processed by the human body into a kind of compound capable of preventing cancer. It works by eliminating H. pylori from a human body which is known as a bacterium that triggers gastric cancer. The vegetable is also rich in indole-3-carbinol which is an extremely powerful antioxidant. Anti-carcinogen properties are also present in broccoli and these are effective in hindering the development of prostate, cervical and breast cancer while also improving liver health. Reduces Cholesterol – The vegetable contains a huge amount of soluble fiber which is proven to be effective in drawing out cholesterol from the body. Sun Damage – Broccoli is helpful in repairing skin damage thanks to the glucoraphanin it contains which helps the skin to detoxify and repair itself. Vision – Studies have shown that the carotenoid lutein helps prevent age-related macular degeneration and cataracts, as well as possesses anti-cancer effects. Additionally, broccoli is a good source of vitamin A that is needed to form retinal, the light-absorbing molecule that is essential for both low-light and color vision. Additionally, the health benefits of broccoli have been linked to preventing and controlling the following medical concerns: Alzheimer’s disease, diabetes, calcium deficiencies, stomach and colon cancer, malignant tumors, lung cancer, heart disease, arthritis, and even the aging process. 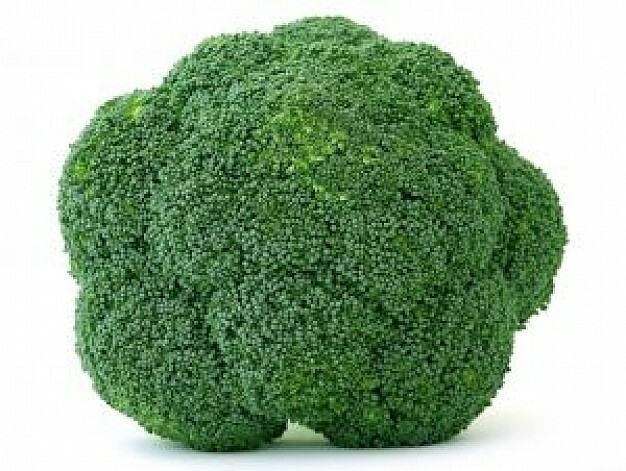 Broccoli is also high in fiber, which aids in digestion, prevents constipation and curbs overeating. The health benefits of broccoli are so vast that it is one of those foods that should be a regular addition to your menu. When you are selecting broccoli tops you will notice that some appear purpler than others, this is a sign that they have a higher level of carotenoids (Vitamin A). Buy heads with tightly clustered dark green or purplish florets and with no signs of yellowing or flowering. Stalks should be firm and fresh looking with healthy green leaves. 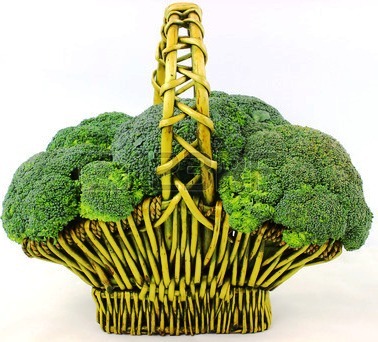 Do not buy broccoli with tough or woody stems. 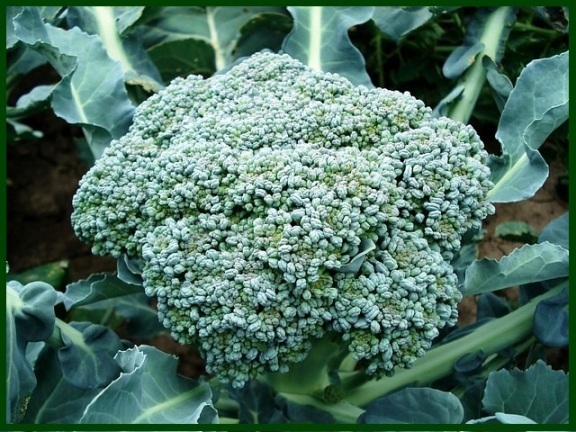 The stalks of young, tender broccoli are slender, while those of older broccoli are thick and have hollow cores. Although it is available year-round, fresh broccoli is at its best from the fall through the spring and usually is inexpensive. Frozen broccoli is also readily available. Many markets sell only the florets, fresh or frozen, and these can be convenient for a quick weeknight dinner. Refrigerate broccoli as soon as you get it home. It will keep for 5 days in a perforated plastic bag. 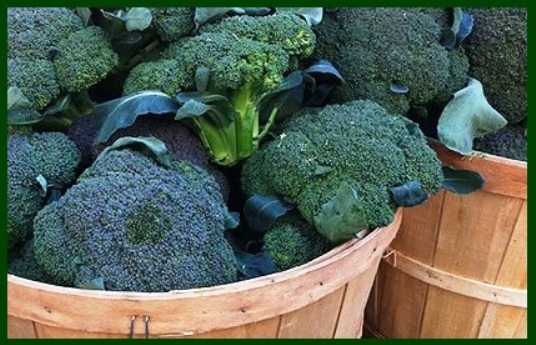 Do not wash broccoli before storing because exposure to water encourages spoilage. 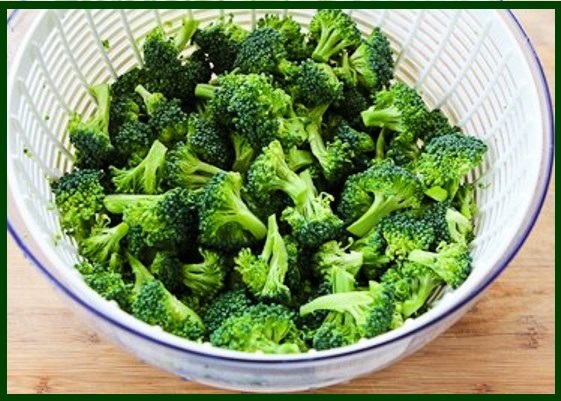 To freeze broccoli, trim the leaves and peel the stalks if they look a little woody. Cut the stalks and florets into small strips 1 to 3 inches long. Blanch the broccoli for about 5 minutes, plunge into cold water, drain and freeze in freezer bags. Frozen broccoli keeps for about 1 year. 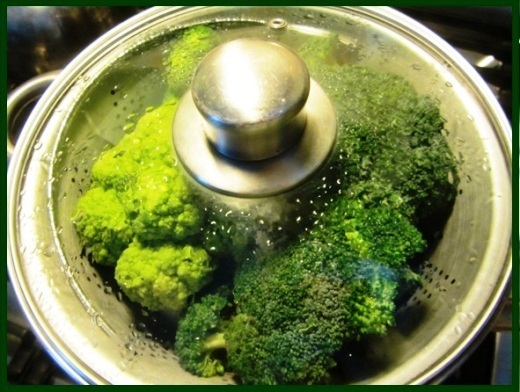 Rinse broccoli under cold running water. Cut florets into quarters for quick and even cooking. Be sure to enjoy the stems and leaves of broccoli; they provide a good balance of flavors. Trim the leaves on the broccoli stalk only if they appear discolored or unhealthy, and cut away any tough portions on the bottoms of the stalks. If the stalk seems tough, peel it with a vegetable peeler or paring knife. Florets cook more quickly than stalks, so split the stalks lengthwise only to the flower heads to cook them intact. 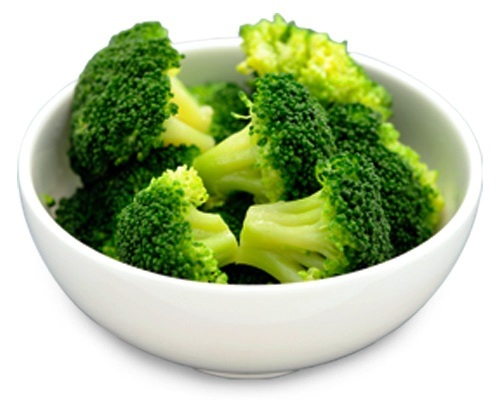 Broccoli that is cooked until soft does not reheat well, but broccoli cooked until crisp-tender can be reheated. 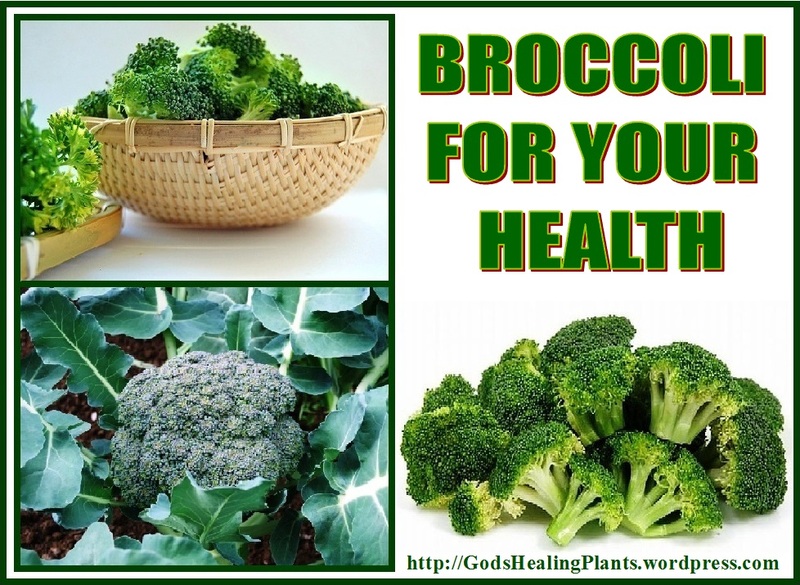 Broccoli provides vitamin, minerals and protein. When preparing the vegetable, it is important to remember that overcooking broccoli equals to reducing the vital nutrients. Cooking methods can impact the nutrient content and health benefits of broccoli. 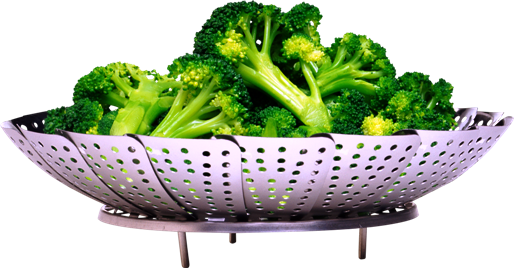 Boiling can leach up to 90% of the valuable nutrients from broccoli, while steaming and stir-frying tends to preserve the nutrients. Eating broccoli raw is still the best way to benefit from all its nutrients. 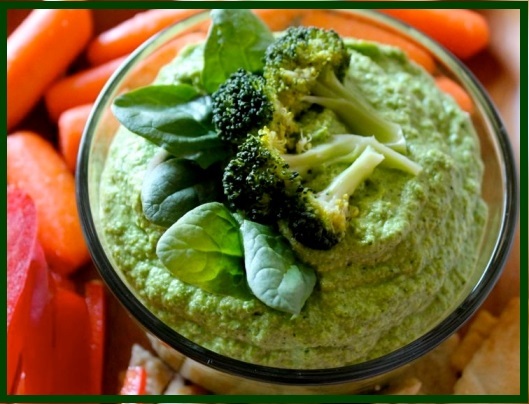 Make a delicious broccoli dip and enjoy with carrots and red peppers. Purée cooked broccoli and combine with seasonings of your choice to make a simple, yet delicious, soup. 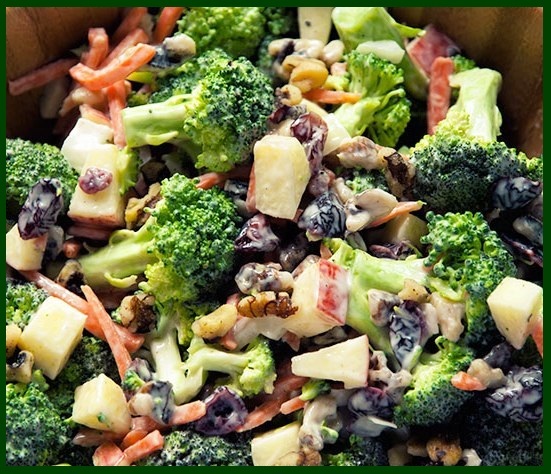 Add raw broccoli florets carrots, apples, raisins and nuts to make a delicious salad. 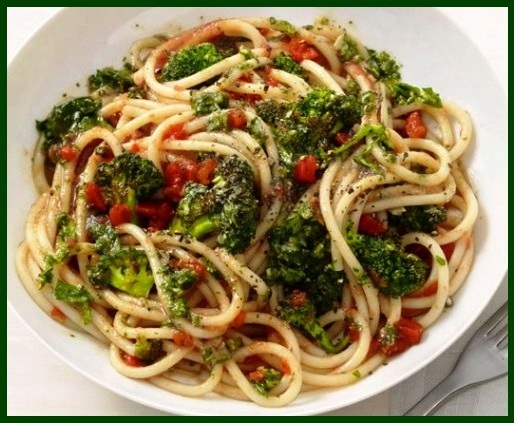 With a little imagination broccoli is a very versatile vegetable that can be used to make many delicious dishes. In general, broccoli is safe to eat, and any side effects are not serious. 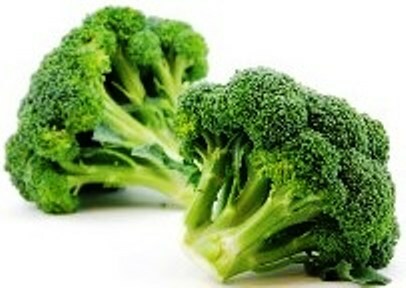 The most common side effect is gas caused by broccoli’s high amounts of fiber. People taking blood-thinning medications should watch their broccoli intake, since the vegetable’s vitamin K content may interfere with the medication’s effectiveness. 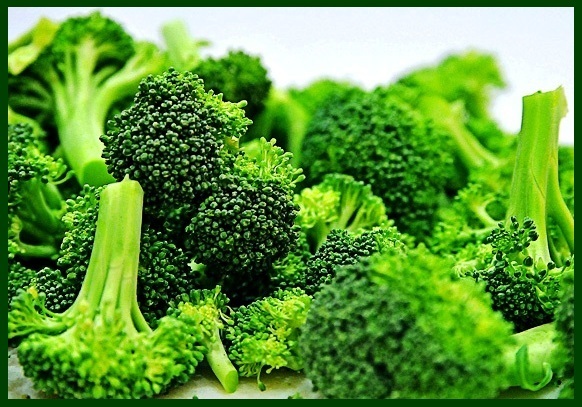 Those with hypothyroidism should also limit their intake of broccoli.